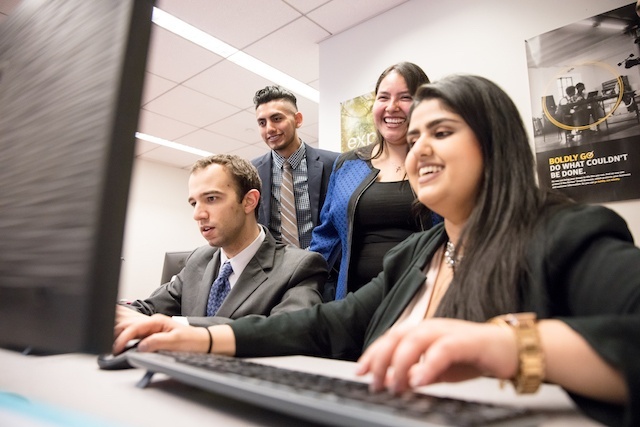 In 2014, NPower partnered with Symantec in the launch of their Symantec Cyber Career Connection (Symantec C3) program targeting the under-employment of young adults, specifically women and minorities, as well as veterans. As of May 2018, Symantec C3 has achieved a 79 percent graduation rate, with 65 percent of graduates hired in cybersecurity positions within six months of graduation. In many ways, technology today provides access to critical resources for populations who previously lacked access – mobile communications, financial products, education and more. However, at the same time the industry is struggling to offer up some of its own best assets – jobs and economic prosperity. For example, it is expected that by 2020, 77 percent of jobs in the US will require digital skills, however, the talent pipeline will only offer ~50 percent of the candidates needed. Companies are facing an uphill battle to recruit talent. The number of US companies that have difficulty filling jobs has increased from 14 percent to 40 percent in three years. Lastly, those from underserved populations (females, minorities, veterans, low-income communities) are largely underrepresented in the industry and struggle to find pathways to entry. This is no different when we look at cyber security. Over the past three years, NPower requests for cyber security talent have been mounting. It is clear this is not by coincidence and it is crucial we address the need. 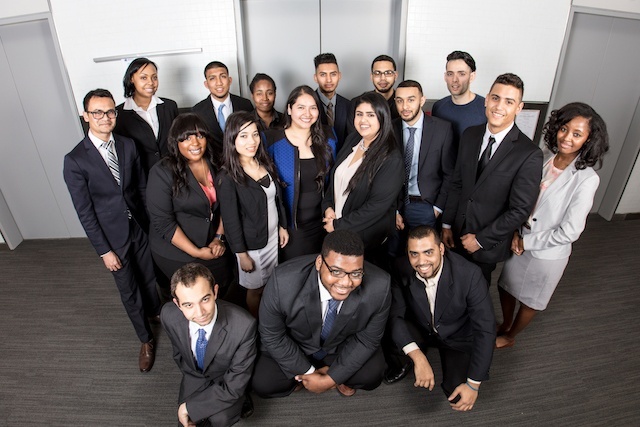 In 2014, we partnered with Symantec in the launch of their Symantec Cyber Career Connection (Symantec C3) program. The Symantec C3 program targets the under-employment of young adults (ages 18 to 29), specifically women and minorities, as well as veterans. Symantec has been an incredible partner to NPower, sharing our vision that students need a mix of skills to be successful in the professional world, and that there is a huge opportunity to open the doors for an underutilized talent market while strengthening the future of the industry. The Symantec C3 program prepares students with the competencies of an IT professional typically with 1 to 2 years of experience. This includes 26 weeks/1,000+ hours of IT and professional development training, a 12 week minimum paid hands-on internship and industry-recognized IT certifications. Through employer and alumni surveys, regional advisory boards, we ensure the program keeps pace with the rapidly evolving cyber security field. As of May 2018, Symantec C3 has achieved a 79 percent graduation rate, with 65 percent of graduates hired in cybersecurity positions within six months of graduation. 60 percent of graduates are underrepresented minorities (African American and Hispanic) and 25 percent of graduates are female. Despite this, when the Symantec C3 program first launched it was challenging to convince employers that we could produce top talent in a shorter timeframe, outside traditional avenues. Our internship program enabled us to build this trust and today demand for NPower Symantec C3 alumni has continued to increase. In many cases we hear that our alumni stand out for their ability to learn and absorb on the job, to adapt and collaborate, and for their drive to succeed. NPower delivers systemic change in this world. Having a diverse workforce, building up this stronger pool of cyber talent, is good for us as a business, it’s good for our customers, and it makes for a much better employee culture. So what is it that makes our training model unique? We are successful in producing practically-focused students by first laying the foundation for their learning with theories and concepts in cyber security, through our certification process. Hands on labs are introduced to build upon the foundational knowledge and rooted with real world scenarios and analyzing recent cyber breach case studies. We then train our students in how to think at the intersection of business and cyber security, understanding how an organization can become vulnerable and what processes are needed to keep it secure at all times. Students are given the opportunity to meet with cyber security industry professionals to discuss and ask questions; and learn what to expect in a real working environment. Self-learning is a major part of the cyber security field and part of our recruiting model to identify students with the traits to become strong self-learners. It’s not that people from nontraditional backgrounds don’t have the talent, intelligence and desire that employers need, it’s just that they’ve lacked the opportunity. Our students are highly diverse – not just ethically and racially – but also due to their unique life paths. For example, Daniela was working at a movie theater when she enrolled in NPower to explore the field of technology. Now she is working in Risk Management at Bank of America and plans to expand her skill set to combine governance, programming and cyber security together. And Quentin Sanchez, a 21-year military veteran through NPower is now an Assistant VP, Sr. Information Security Analyst at Citi. If technology companies want to lead on innovation, this innovative mindset and willingness to take some risks must extend to all parts of the business. I am passionate about the momentum our partnership with Symantec can bring. Looking outside the box to new pools of talent, to new training models, I am confident we can find innovative approaches to preparing top talent that represent the diversity of skills, strengths and perspectives our world needs.